Jurassic Quest brings you a Dinosaur Adventure for the whole family as it roars into Kansas City January 2017! The main dinosaur exhibit features ultra-realistic, life-size animatronic dinosaurs - more than 50 life-size dinosaurs in all. Visitors can interact with these huge creatures, learn about them and even ride a few. Featuring realistic scenes, enormous dinosaurs, cute baby dinosaurs, there will be lots of fun activities for kids of all ages. Young paleontologists can uncover long hidden dino bones in the huge T-Rex and Triceratops fossil digs. Or, enjoy the “Dino Bounce” area with several towering dinosaur themed inflatable mazes, face painting, dino crafts and much more! 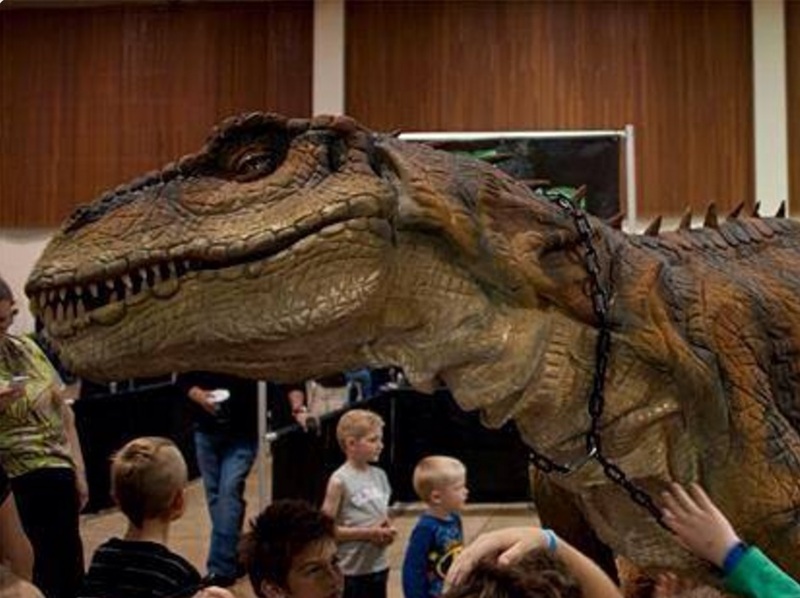 Jurassic Quest has a passion for creating memorable guest experiences as part of their traveling exhibition. The success of the event has delighted audiences in convention centers, fairgrounds and other venues. This is largely in part because of a uniqute team of experts and collaborations with paleontological partners, and their ability to build an exceptional entertainment experience. Kansas City is invited to experience Jurassic Quest at Hale Arena at the American Royal Center from 9 a.m.-8 p.m. on Saturday, Jan. 7, 2017, and 9 a.m.-7 p.m. on Sunday, Jan. 8, 2017. Ticket prices start at $25 for kids ages 2-12 and $30 for ages 13 and up; VIP kids’ passes are available for $35. Seniors and military families receive a $5 discount on each ticket purchase.